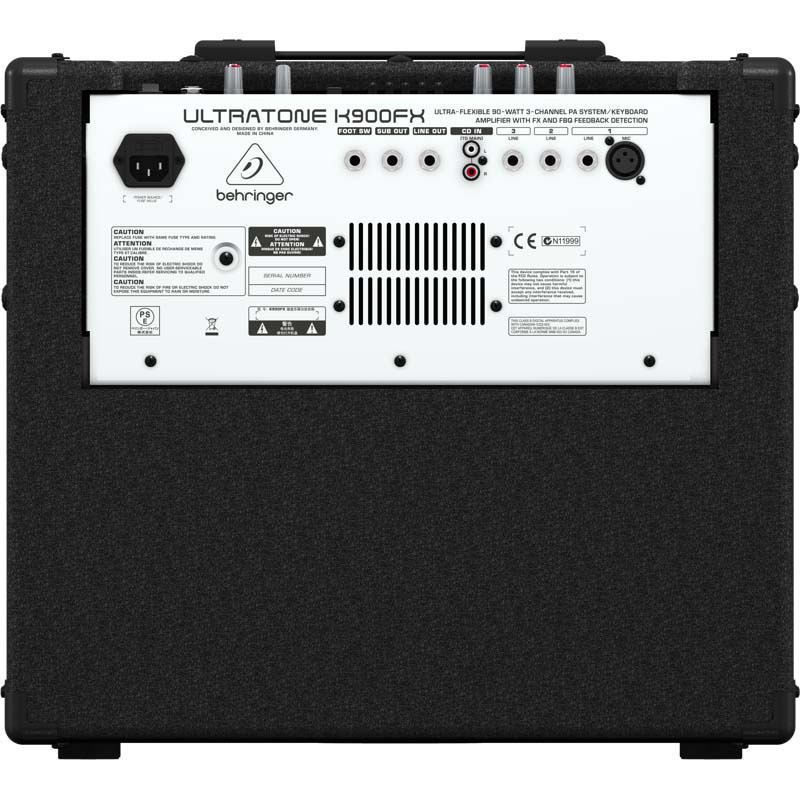 The 90-Watt ULTRATONE K900FX excels as an extraordinarily-versatile keyboard and drum amplifier, as well as a high-quality 3-channel Public Address (PA) system, with a world class, 12" BUGERA Speaker – all in one compact and easy-to-transport package. 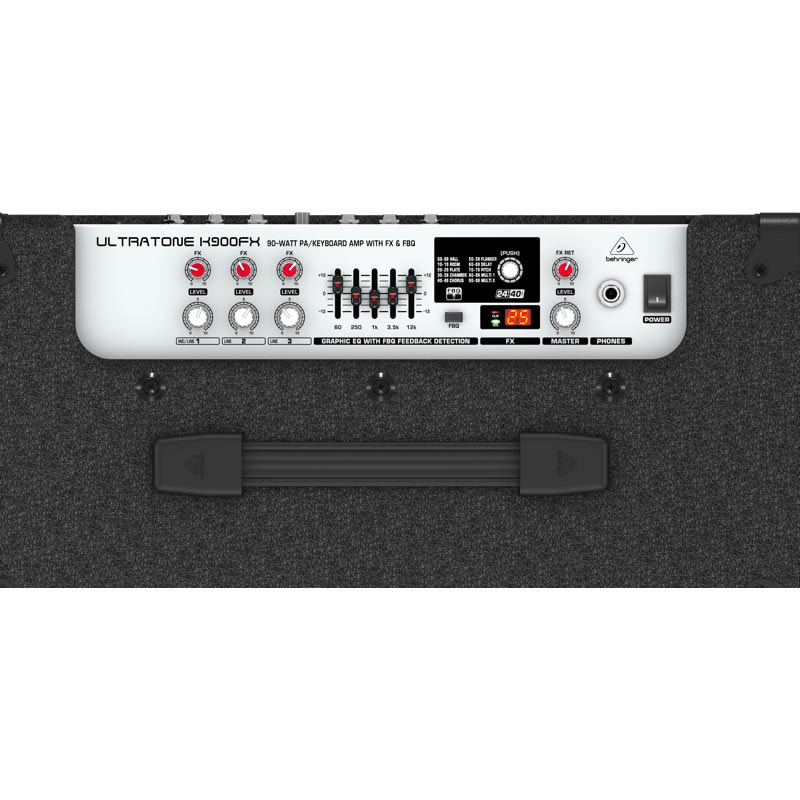 Specializing in rich, accurate tone and professional features, such as a studio-grade Multi-FX Processor and our own FBQ Feedback Detection System, this powerful workhorse will bring out the best in your performance gig after gig. The K900FX gives you 3 independent stereo channels, each with separate Volume and FX Send controls, plus an additional XLR mic input on Channel 1 for the direct connection of a dynamic microphone. 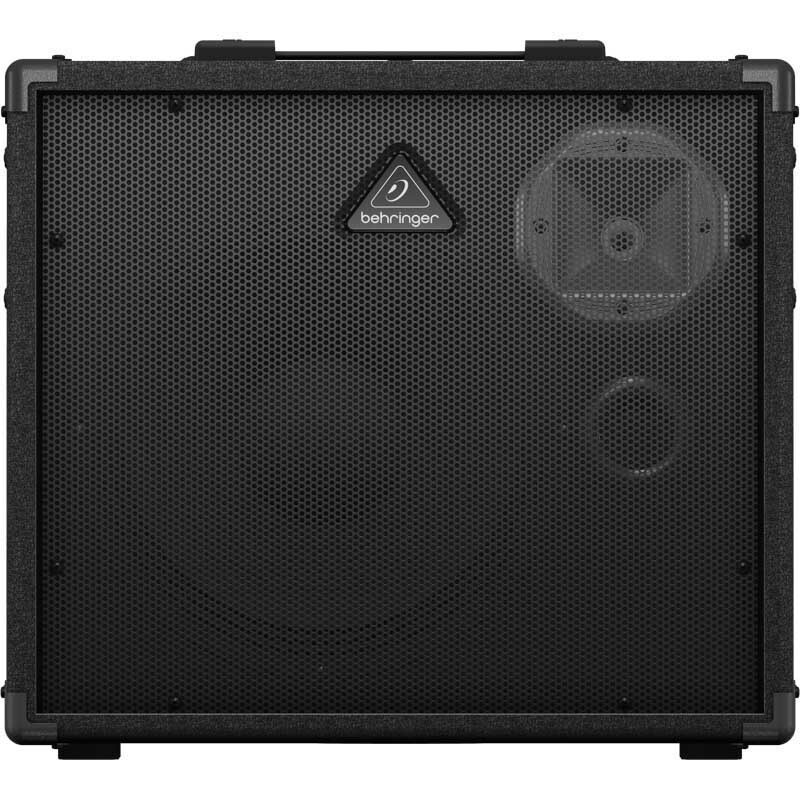 So, if you’re the kind of keyboardist or drummer with multiple instruments at your disposal, the K900FX is ready to handle up to 3 independent signals. It is also ideal for use as an all-in-one solution for keys and vocal applications. The Master Section provides separate controls for FX Return, Master Volume and Phones. A stereo Aux Input allows you to play recorded music through the K900FX during performance breaks, or just for playing along. A separate headphone output is perfect for quiet practicing. The K900FX also features an integrated 35 mm pole socket for stand mounting and a Line Output for connecting to the house mixing board, or to your favorite recording device. Mixer Power Yamaha EMX512SC 500WSeri EMX dari Yamaha adalah mixer power performa tinggi yang memberikan anda kemampuan untuk menggabungkan sumber suara anda (mik, line-in, instrumen, dll. ), menambahkan effect untuk memoles keluaran suara, dan juga memberikan daya untuk mendorong speaker atau monitor..